The role of statisticians in improving our understanding and monitoring of global issues such as pollution levels, cancer mortality rates, crime statistics and the spread of diseases, will be discussed at an international workshop being held at the University of Southampton today and tomorrow. Experts from 11 countries are attending the two-day workshop at the University's Statistical Sciences Research Institute which focuses on new statistical methods, in particular in relation to 'spatio-temporal modelling' - modelling of data which varies across both space and time. Dr Sujit Sahu of the University's School of Mathematics explains: "Spatio-temporal modelling is enabling advances in a wide range of application areas, including the study of house prices, ecology, geology and many areas of medicine such as brain imaging. "A simple example of this form of modelling is a weather forecast map on television. The map shows how aspects of the weather vary in both space and time. For the forecast to be effective, it is important to predict, or forecast, many variables that describe the weather - such as the amount of rainfall, sunshine and air pollution. Typically, such predictions are made from data observed on a large number of variables, which themselves vary over time and space," he added. "Spatio-temporal data sets can also be very large. Air pollution measurements, for example, are observed daily at over one hundred locations in the UK and data may go back over the last ten years." In order to obtain a high degree of accuracy in analysis and predictions, mathematical models are used, which explicitly include the underlying uncertainty in the data. These models are statistical in nature and, if appropriately chosen, allow accurate forecasting in future time periods. In addition, they allow the statisticians to estimate the size of possible errors associated with the forecasts. 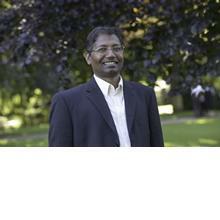 Professor Sujit Sahu is a Professor within Mathematical Sciences at the University of Southampton. The Workshop on Recent Advances in Modelling Spatio-temporal Data takes place at the University of Southampton on Wednesday 25 and Thursday 26 May. The Southampton Statistical Sciences Research Institute, known as S3RI, was set up by the University in August 2003 to support and co-ordinate the research activities of statisticians and demographers from the Schools of Social Science, Mathematics and Medicine - it involves more than 50 academic, research and support staff.